Menu – Pasta & Co. 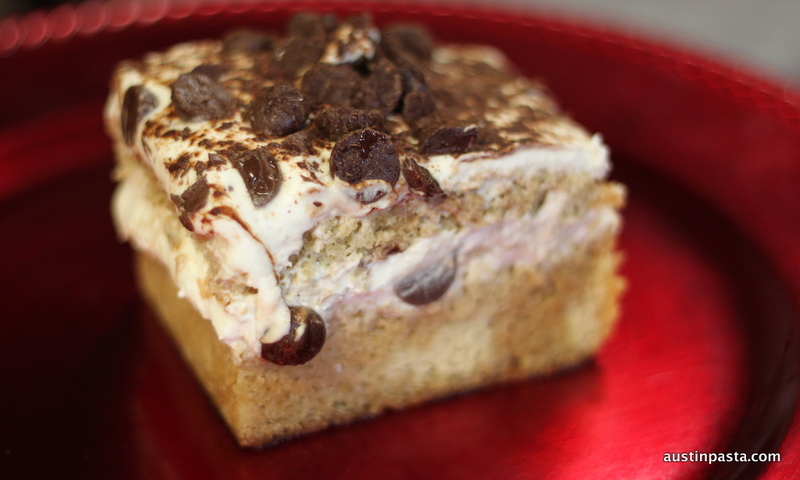 Explore our range of pasta & ravioli, sauce, frozen entrees, salads and desserts. Most selections are available in large portions with advance notice. 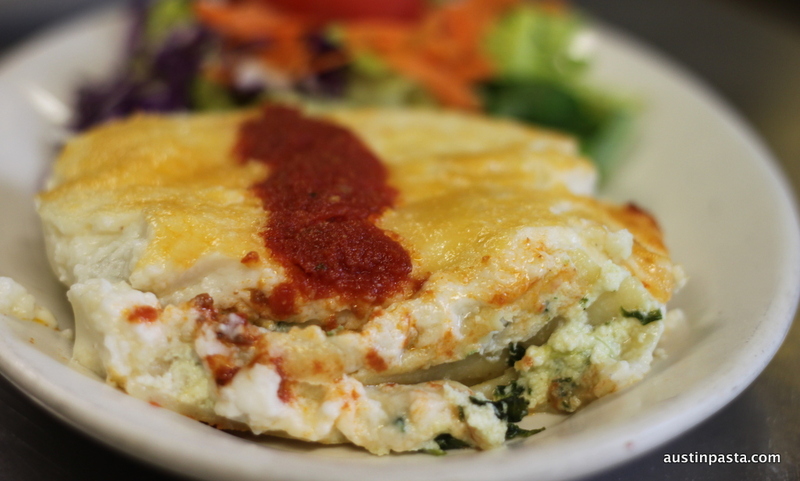 We use 100% semolina flour, farm-fresh eggs. 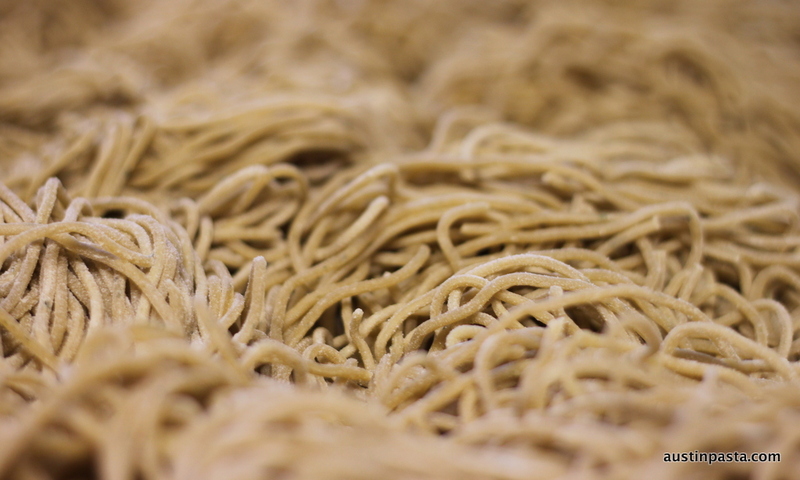 water, and traditional techniques to create a fresh and natural pasta product. Check out the chalkboard for the latest creations by Austin’s premier pasta-maker, Ron Smith. 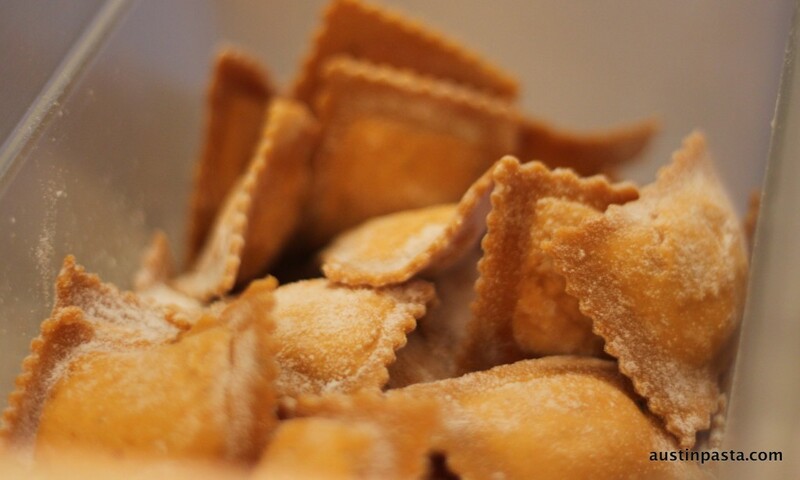 We feature an ever-changing rotation of ravioli choices. The selections range from traditonal Italian favorites (e.g. Gorgonzola-Pinenut or Roasted Butternut Squash & Amaretti with Sage) to creative, and sometimes exotic, combinations of flavors and cultures (e.g. Venison, Elk & Ligonberry or Stilton, Toasted Walnut & Dried Cranberry). Check the board or the Specials page for Ron’s latest. Prices of special ravioli vary with ingredients. Most are $12.50-/lb. 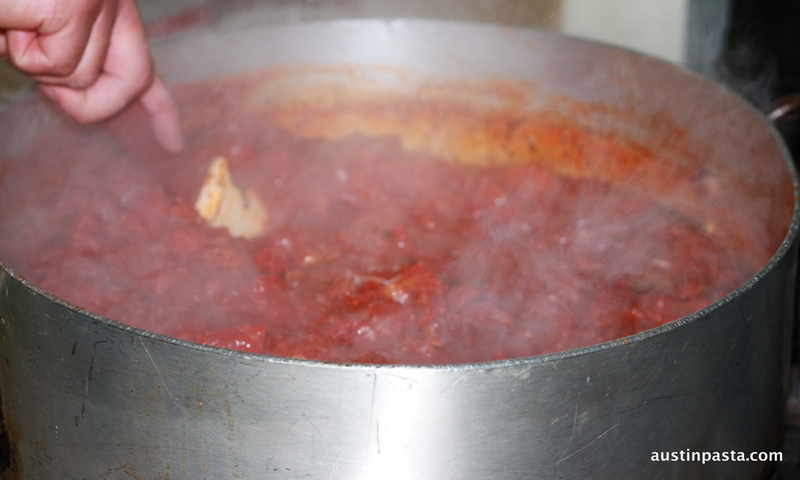 We offer a wide range of authentic Italian sauces as well as creative twists on traditional recipes. Marinara $7.95/pt. $3.95 1/2 pt. Salsa Robusta $8.50/pt. 4.25/ 1/2 pt. Bolognese 10.40/pt. $5.20/ 1/2 pt. Vodka Sauce $5.95/ 1/2 pt. Roasted Red Bell Pepper Cream $5.95/ 1/2 pt. 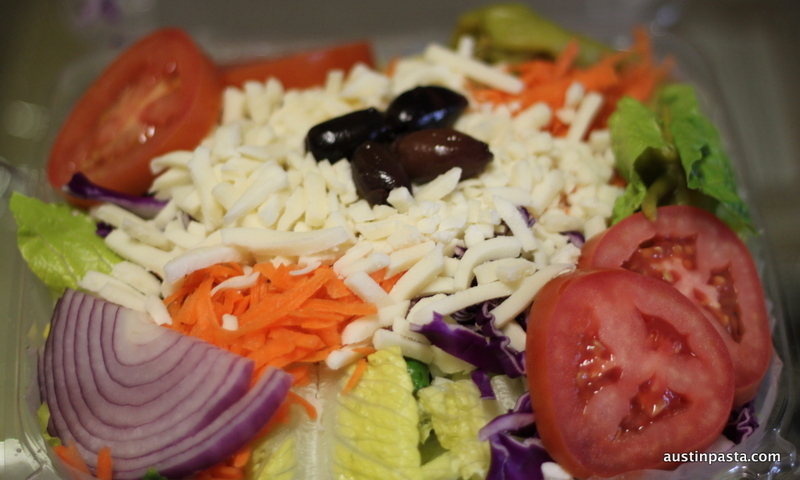 We prepare our entrees in small batches to ensure freshness and flavor. Larger portions (6, 10 and 20 serving sizes) are availble made fresh with 48 hour prior notice. Chicken and Artichoke Baked Penne $18.95/lg. 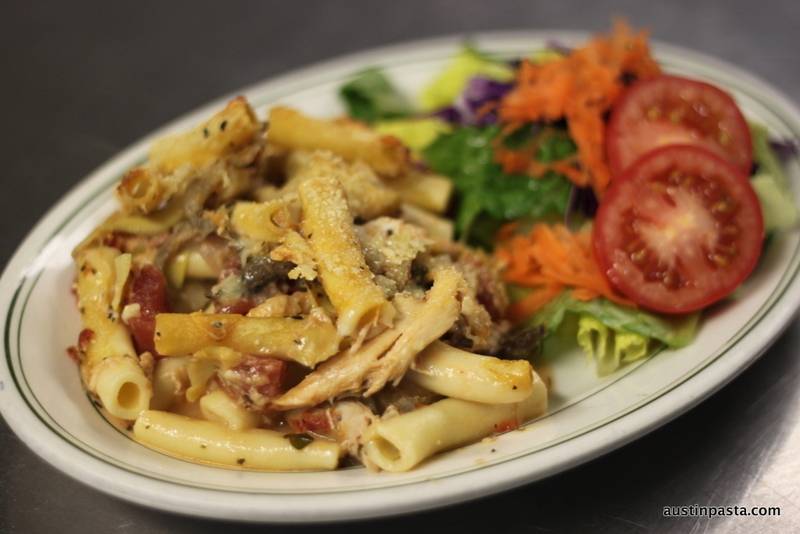 Chicken & Walnut Pasta Salad $8.50/pt. Caraway Shrimp Pasta Salad $9.95/pt. Check our stuffed olive & pepper selection, too! 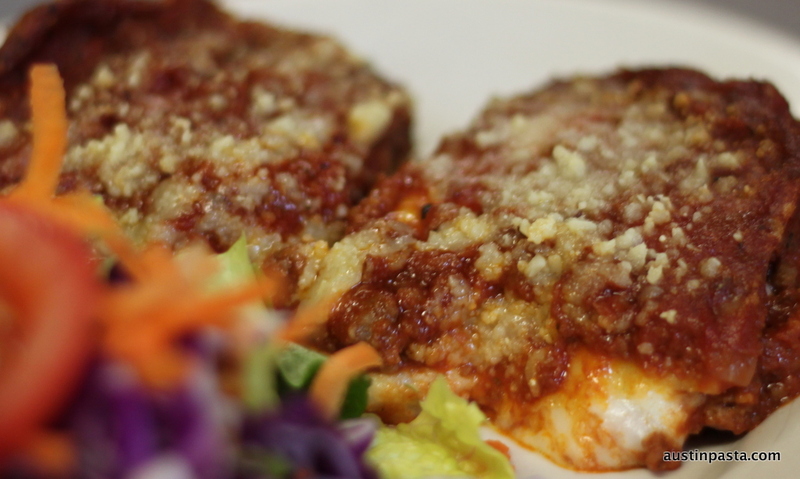 Our selection includes Italian favorites, American classics, and an Aussie surprise!